with our Governing Board to help us better advocate for and serve our communities! to attend the one that best fits your needs! There will be a monthly open board meeting following each informational meeting. our Regional Office at 608-328-9610 or dhay-skattum@gchsd.org. 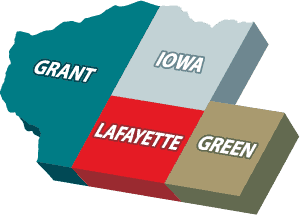 Serving Grant, Green, Iowa and Lafayette Counties.